Our kids are getting older now, but when they were babies, we often got raised eyebrows when we told others about our travels. Many wondered why we were taking our kids halfway around the world when they wouldn’t remember the trip. Initially our motivation to continue to travel with kids was selfish – we didn’t want to stop. However, time and time again I have seen the incredible benefits that travel has given our kids. In fact, I will go so far as to say there is no better education in the world, than seeing the world. My kids go to regular school and quite enjoy it, but I would happily world school them. I don’t think you need a classroom to learn; in fact I think classrooms often deter some learners. Travel has certainly exposed our kids to many different types of food. Luckily, not all agree, and in fact, there is science that says holidays are good for kids. 8.1 Enjoyed Reading this Post? SIGN UP for more. While globalization, multi-cultural societies and technology are making the world a smaller place, it is still all too easy to fall into ethnocentric thinking. Our kids have heard different languages, seen different types of housing, and learned that how we do things in Canada, is not the only way to do things. In 2015 when we were in India, we got to experience the Onam festival. Staying in a local home stay, the kids got to see the symbols and decorations of the festival, helped prepare poppadoms in a typical Indian kitchen, and ate the traditional holiday meal with our hosts. I can remember the excitement in their eyes when they experienced their first Chinese New Year celebrations in Malaysia; they were enchanted by the firecrackers, dragon dances and red envelopes. When we visited Japan last year, they learned the importance of following traditional Japanese customs, like taking shoes off before entering a room, bathing without clothes in a public onsen, and cleansing their hands and mouths before entering a temple. In every destination we visit, they soak up the culture, and they see different ways of doing things. Even very young kids can benefit from this. I remember visiting Thailand when Ella was about 4, and she loved praying at the offerings and statues. History and world issues come to life for children when you travel. I don’t think I can think of a trip or destination that didn’t provoke interest from the kids. We don’t plan these things; it is completely driven by them. A visit to a museum might bring on a huge discussion about the Holocaust or a hike will lead to a discussion on ethical travel. While we were in the Bahamas, we were often confronted by plastic waste washed ashore. This led to so many good discussions on over-consumption, waste facilities and environmental degradation. Visiting Port Arthur Penal Colony in Tasmania allowed the kids to learn about what life was like for the men, women and children that spent time there. Travel is like being on one continuous field trip of real-life learning. When a report card comes home from school, it is the soft skills or learning skills that I want to see first. It is probably the teacher in me that cares the most about my kids’ teamwork, initiative and self-awareness skills. Some of the life skills that kids learn from travel are practical – how to read a map and stick to a budget. They learn how to socialize and interact with adults, make friendships quickly, and problem solve when things don’t go according to plan. They develop resilience in adapting to changes in routine, getting through bad travel days, and dealing with bureaucracy and sometimes confusing ways of doing things. 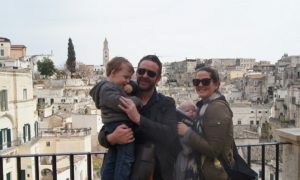 One of the things we love the most about travelling is spending so much time together as a family. That can also be one of the biggest challenges of family travel, and there are definitely moments when we could all use some time apart. When we are travelling and away from all of the schedules and distractions of our regular life, we have the best conversations, we play games together waiting for meals, and we all get to sleep in one room together! I saw this closeness when we lived on a sailboat in the Bahamas for 5 months. We have always been a close family, but on the boat, our lives were completely inter-connected. The years I spent as a teenager living aboard and sailing with my family helped create the tight-knit relationships I still have with my parents and brother. I wish I could say that our kids don’t yearn for things, they do. But I do think that deep down they realize that these experiences are so much more valuable than the latest toy or gadget. We tend to travel in developing countries where our money goes the furthest, and we can learn about different cultures. Our kids see what life in the developing world looks like. They have seen homes in Asia and Central America made of mud and thatch. They have met kids that own one set of clothes. When we visited Papua New Guinea last year, the kids had the opportunity to see untouched islands. They saw the basic conditions of the schools, and they saw that the children didn’t have shoes or toys. The kids gave out some school supplies to the schools and children, and I hope that those small acts will motivate them to give in the future. Miles didn’t even protest when I gave away his thongs to a little boy on the beach. At 6 years old, he realized he had a whole closet of shoes at home, and this boy had none. When we stayed in a home-stay in rural Nicaragua, the house and food were very simple. We were mostly given rice and beans, the staple diet of the region. One night the kids were very excited to be given a piece of chicken with their dinner. Gavin, who was 6, gobbled his up and asked for more. I tried to shush him, but our host mom understood what he was asking for and took the chicken that she had set aside for her family to give to him. What he didn’t realize at the time (we did spend time talking about it afterwards) was that for the family to have meat was a luxury. He was used to being able to fill his plate with meat at home, something he wouldn’t even think about it. But maybe this little incident opened his eyes to the abundances in his life, that not all enjoy throughout the world. But perhaps the biggest lesson for them is that often the people we encounter in developing countries are no less happy then those in developed countries. Yes, we have a lot of things in our home countries, but that does not necessarily equate to a better life. In fact, we often encounter stronger family connections and happier people when we travel in developing countries. Resilience is one of my favourite words, and if you asked me what one trait I would like my kids to possess, it would be resilience. Living overseas hasn’t always been easy for our kids. They have had to adapt to a new school, new terminology, new friends, and new ways of doing things. In Australia, those differences aren’t so drastic, but when we lived in Malaysia, they were. While it can be hard for the kids to adapt, they do, which builds their resilience. Travel also develops resilience as they learn to live without routines, eat different foods, and to navigate situations or a destination in a different language. Living out of backpacks, in different rooms, with different food, builds resilience. Right now, they are travelling with us, but we hope that as they become teenagers they will also experience travel on their own. We are already encouraging travel opportunities like Rotary exchanges or a gap year because we think these experiences create resilience, maturity and independence. I am always perturbed to hear about schools that discourage or even fine families for taking their kids out of school to go travelling. There is no question that my kids learn more from travelling than they do in a classroom. And most importantly, they become better little global humans. If you are just getting started with family travel, check out these 7 steps to adapt to family travel. 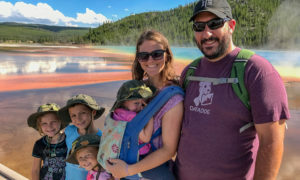 So next time someone raises their eyebrow at your next family adventure, you can feel smug that you are giving your kids so much more than just a vacation. 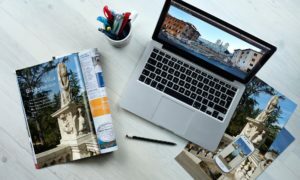 If you are looking for ways to travel more with your kids, check out this post with some out-of-the-box ideas. To maximize your travel budget, check out our budget family travel tips. So, what are you waiting for? Get planning your next epic family trip! What other benefits have you seen in your kids from family travel? I would love to hear – leave us a message in the comments below. I think it’s wonderful for children to learn in this way. Kids are exposed to so many different and fascinating things through travel. Couldn’t agree more Sharee! I know they got lots out of travel when they were younger, but as they get older, I love seeing our travels through their eyes. My son is a teen now, but we’ve been travelling together for 3 years. I wholeheartedly agree that worth travel offers the best education possible!! It’s amazing to witness the growth in children as they experience other cultures and experiences! So amazing what you guys have been doing! As my kids get older, it is so amazing to see what they get out of our travels. Truly is the best education possible! I feel very lucky and thankful that my parents took me on trips as a kid. I definitely agree that it is such a good teacher! So great that you were introduced to travel at a young age. We certainly hope our kids will be thanking us for all these adventures when they are older! I don´t have kids yet but seeing what I have learned about life, cultures. people and my self ever since I started travelling I totally agree with you that travelling with kids is a must. They will benefit that much. Thanks for sharing. You make great points! My personal preference lately has been to travel alone, because it makes us all appreciate each other so much, but I really hear you! I would love to do a solo trip. I did a trip with just one of the kids last year and it was so great to spend so much time on just him. Hoping to do more of those in the future! I totally 100% agree — traveling with kids (and grandkids) is an adventure but also a learning experience. And as grandparents, it also gives us a bonus: additional time spent with our grandkids. We have done few multi-generational trips and the time spent together is lovely! I wonder if the Telegraph author actually meant what he was saying or was just trying to stir the pot? Totally agree with this! 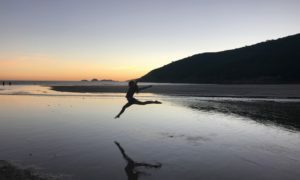 My daughter is five but has already learned so much from our travels – and there are definite benefits to short trips as well as for those who world school. It amazes me sometimes what she does remember. So short-sighted to say that there’s no benefit to taking little ones around the world. Our kids also do a mixture of traditional schooling and lots of travel and I really appreciate what they get from each. No doubt they learn about the world, cultures, history etc from travel, but I love the school community they get to be a part of at home too. I think it’s wonderful for kids to travel they absorb so much, we always travelled with our daughter and now we’re doing the same with our grandsons. We love multi-generational travel! The kids are so lucky that they have such an adventurous Grandma! I hear you about them being tired. Same problem here as we try to make use of the whole school holidays and they really don’t get time to just relax and recharge. Although we stayed home for summer holidays this year and I got totally bored. I guess we have to find that balance. Thanks for reading! I know I am amazed at what kids can remember from our trips. My 6 year old will bring up trips from a couple of years ago and he remembers the smallest details. Thanks for having a read! I can’t imagine traveling all the time without my kids. This is the second article I’ve read in a week talking about how our world is poo pooing kids as being a hamper to a travel lifestyle. I appreciate your perspective and lament the notion that kids just ruin everything. Things have to be adjusted a bit, sure, but honestly, unless you are traveling solo, don’t you always have to learn how to compromise and make changes if you are to get along with others. Seems it’s part of the human experience to learn how to enjoy life and give a little in order to have meaningful experiences. I couldn’t agree more Amanda. Hubby and I have done a couple of solo trips, but we much prefer travelling together as a family. I always thought we would go back to our honeymoon destination for our 10 year anniversary, but a trip with the kids is way better. Completely agree with this. We have seen our daughter learn so much more from travelling than she could ever have learnt at school. Watching her confidence grow and her appreciation for different cultures, food and people has been awesome. I agree with all these reasons! I honestly believe that kids make the best travel companions (even when your toddler decides to have a full-on, lie-on-the-floor-crying tantrum every day of your trip!). 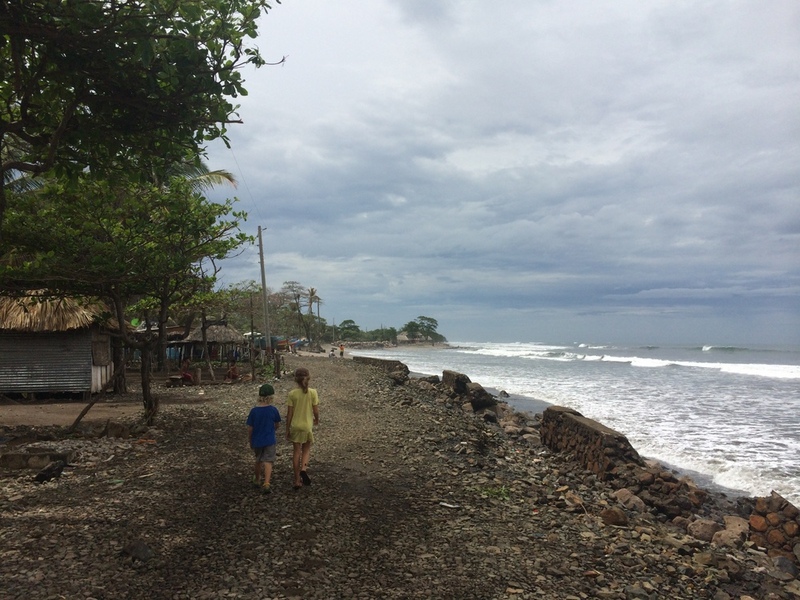 I also love the sound of your homestay experience in Nicaragua, that’s something I’d love to do with my kids. I do love tiny house (or boat) living, but yes it can be intense being so cooped up together. What trips do you guys have planned for the year? Thanks Claire! We think it is win-win for us, the kids and the whole family! The traveling with the kids not only provides the adventure experience but also provide the learning experience. Kids learn a lot of thing in the travel such as build resilience, life skill, and otters. We definitely agree Soniya. We are travelling right now and I am continually impressed with what the kids pick up and the connections they make when travelling.